Leaf and Ginger opened a few months ago with a fresh take on the concept of “fast food.” The eatery has a service counter with a large chalkboard menu hanging above it, but that’s where the similarities between Leaf and Ginger and a fast food joint end. The kitchen team enlists strictly organic ingredients to create delicious, healthy meals like acai bowls and superfood salads. 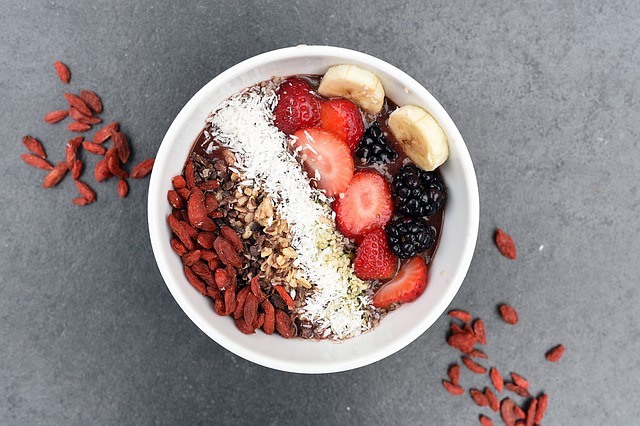 For breakfast, devour a bowl of overnight oaks soaked in fresh coconut milk, maple syrup, and cinnamon, and topped with fresh fruit, a dollop of almond butter, cacao nibs, and shredded coconut. For lunch, enjoy a falafel sandwich with red onions, tomatoes, spinach, avocado, and house-made tahini. Feel free to complement your meal with a cold-pressed juice any time of day, like the Supergreen with cucumber, celery, kale, ginger, and lemon.